Late last year a Pheasant Summit was held to discuss the plight of the pheasant population in Minnesota. As a result of this summit, you, Mr. 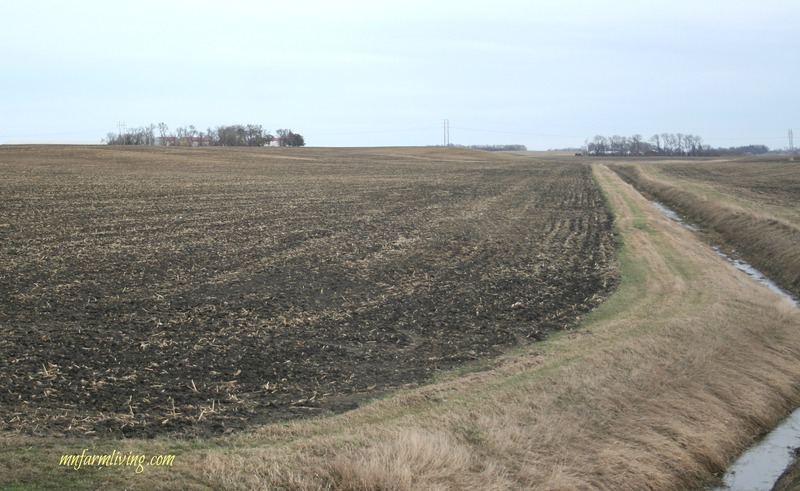 Governor, proposed a 50′ buffer strip to help increase pheasant habitat. But quickly, the reasoning for the mandated 50′ buffer strips turned to improving water quality. As a farmer, I support pheasants, buffers and water quality. Agriculture is having a hard time swallowing your proposal. You are quoted in asking farmers to “look to their souls” in regards to improving water quality. Do you think farmers don’t care about water quality? We live and work on our farms and we want to leave our farms to our kids/grandkids. Of course, we care about water quality. In addition, a one-size-fits-all proposal just doesn’t make a lot of sense. Sometimes we need more, sometimes less. And in addition to buffer strips, there are various other ways to manage water quality. Carolyn Olson outlines some other options in water quality management. It’s hard not to become upset when the governor of your state mandates 50′ of land set aside with no factual research to back it up a standard 50′ buffer strip. This is land that we have paid for and land that we pay taxes on and land that we take care of. So where to go from here? I would love for you to sit down with all those that have a stake in the issue. Today, you saw a true grassroots effort. Pictures flooded my newsfeed today showing pictures of only standing room available in the two town listening meetings in southern Minnesota. My heart actually raced when I saw these pictures. I am so proud of our farmer citizens showing up and expressing their concerns. We care. And we want to be part of the solution. I think one area to start with is enforcing the buffer strip regulations already in effect. Sara Hewitt has some great background information on the buffer strip issue. Let’s start with increasing the redeterminations on our waterways and ditches and enforce the buffer strips already on the books. And on a personal note, there has been significant attention given to buffer strips and water quality as of late. Because of that heightened awareness, I am staying back further from our waterways and ditches when I prepare the land for planting and tillage. No, government did not have to tell me to do this. I did it on my own because being a good steward and taking care of our environment is important to me. And if the true motive for the buffer strips is pheasant habitat, I can tell you this will be a feast for coyotes. Just a couple nights ago we heard about 3-4 young coyotes near our home. The “yippy, yippy” we heard was coming from CRP land. Coyotes love this habitat. Unfortunately, it’s the same habitat pheasants like. And we all know who is higher on the food chain. Governor Dayton, invite farmers to come and sit at your table. Let’s work together on this issue. If we are directly affected, shouldn’t we be part of the conversation? We have similar proposals in Oregon this as well. They want it around streams, schools & residences. So ridiculous.